Blog - Now Shipping Orbit Product To You In 3 Days Or Less! 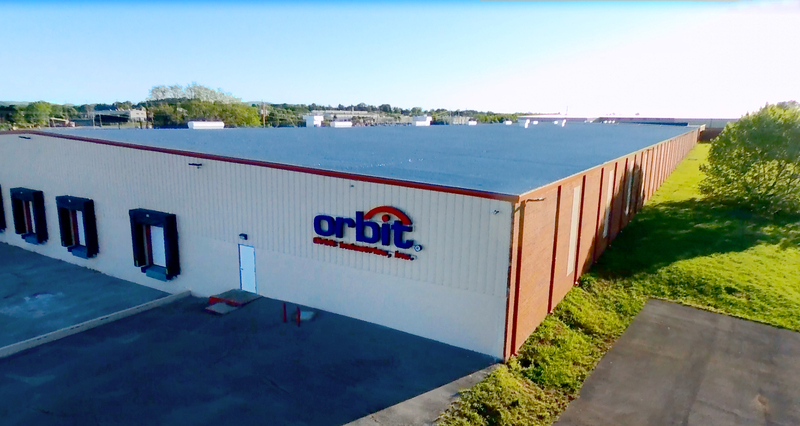 Orbit Industries’ new regional distribution center is fully operational and shipping! Located in Tennessee, this facility is the first established outside of Orbit’s main Los Angeles headquarters – representing an ever-expanding footprint in the industry. Orbit now ships anywhere within the Continental United States in 3 Days or Less! Between Orbit’s Tennessee and Los Angeles warehouse, our product can now be delivered anywhere within the continental United States in 3 days or less! In addition to warehousing, Orbit will also section off a portion of the space to act as a manufacturing plant to meet Made in America standards! Currently Orbit’s BCHS and RAP are manufactured in the US, but with the introduction of such a facility, many more products will follow suit! Manufacturing is expected to be fully operational before mid-2018. Additionally, a state-of-the-art training center is planned for construction at the plant. Customers, visitors and representatives will be invited to have a hands-on experience with some of Orbit’s most innovative products. Orbit Industries, Inc. is a leading manufacturer of electrical products for the professional installer. Orbit products are UL or ETL Listed and include: Steel Junction Boxes and Accessories; NEMA Enclosures; Weatherproof Products; Electrical Fittings and Elbows; Emergency/Exit Lighting; Photoelectric Controls; LED Lighting and more.